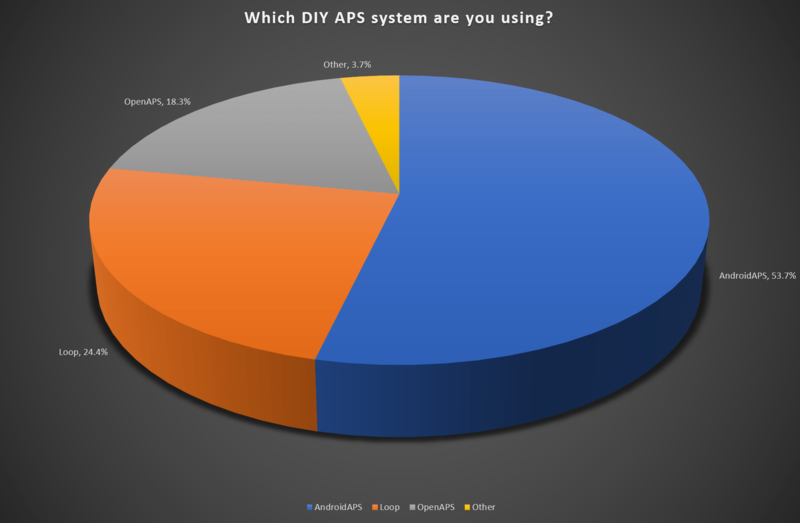 Following queries by a number of organisations as to the number of DIY APS users in the UK, we undertook a survey to try and determine not only the number, but also the types of APS system being used by UK WeAreNotWaiting users. Which systems are in use in the UK? We can also see that the proportion of people using mobile phone based systems is 78% of the overall number. How is the DIY APS system being used? A little over a fifth of users are currently operating in open loop mode, where the system tells them to do something, and they decide whether to enact it. 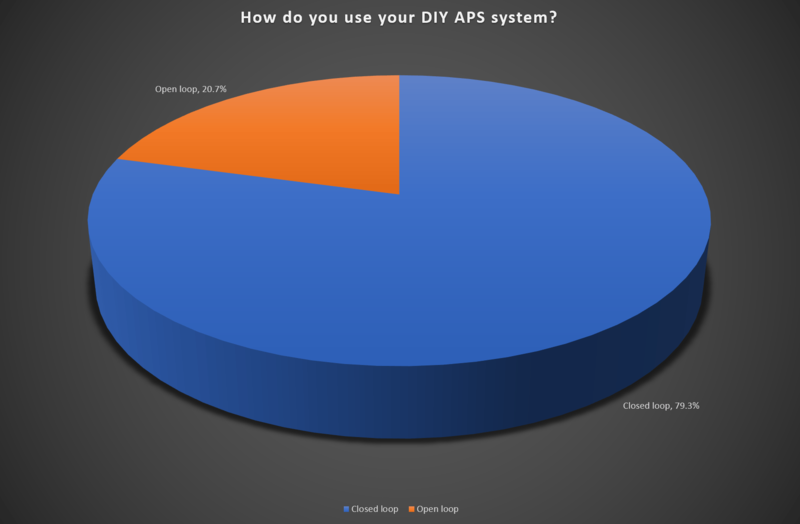 Of those using open loops, 35.3% are using pumps that are compatible with AndroidAPS and 47.1% are using pumps that are not loopable. 17.6% of users are using Loop or OpenAPS compatible pumps. Which pumps are being used with AndroidAPS? 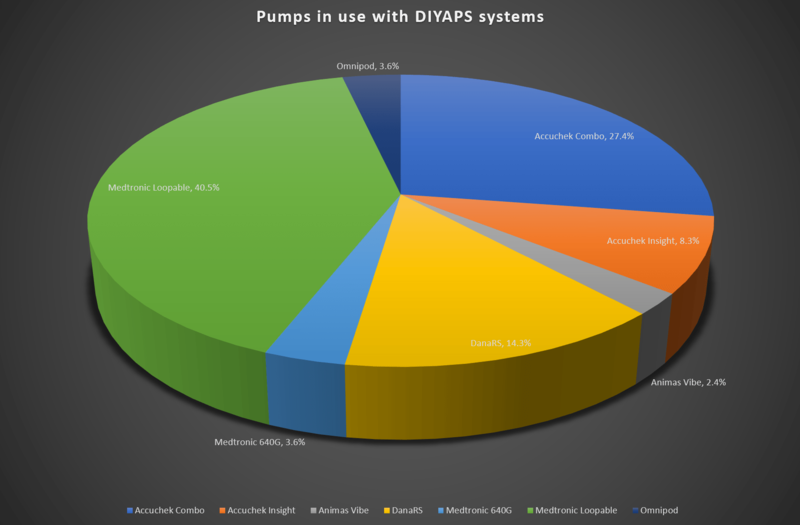 The Roche Combo, with 50% of instances, and DanaRS with 27.3% are the most used pumps with AndroidAPS. Firstly, an internet survey does not necessarily provide concrete evidence of the number of users, as it can only reach those who are aware of its existence. With that in mind, the best that we can say about the number of responders is that there are at last 82 people in the UK using DIY closed loop systems. 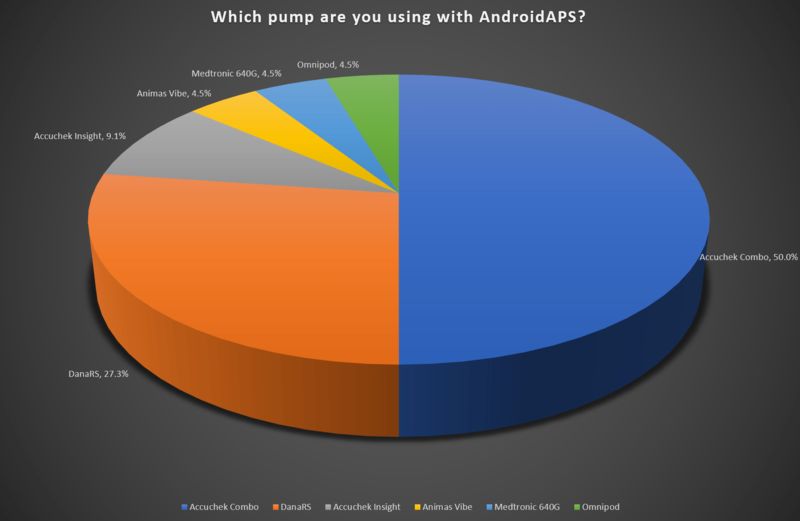 Based on the response, AndroidAPS is the most used, and the reason for this is likely to lie in the distribution of pumps in use. Whilst Medtronic loopable pumps make up 40.5% of the picture, the remaining 60% or so is a bit of a mix, and the ability of AndroidAPS to interface with the Dana R and RS, Combo (a fairly common pump in the UK) and also the Insight whilst offering an open loop model that is compatible with any pump, works in its favour here. This latter point is seen in the data pertaining to pump use with AndroidAPS specifically, where there are people using non-loopable pumps, but taking advantage of the decision support tools that running an open loop provides. 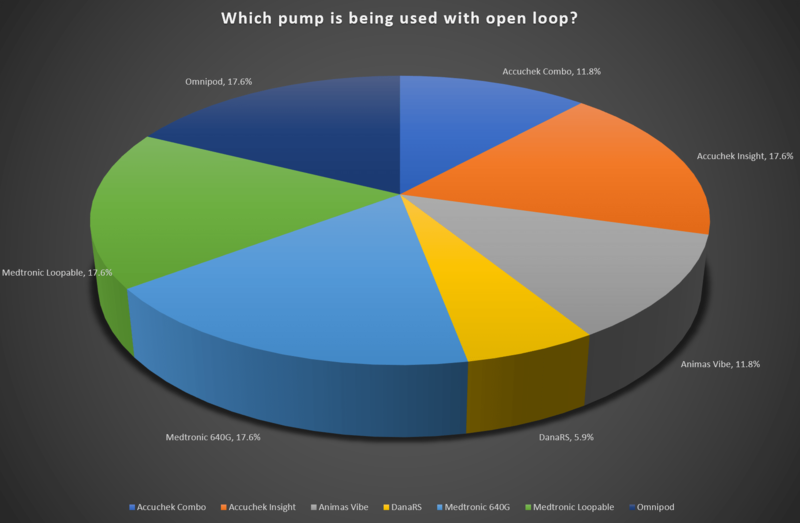 Two thirds of the AndroidAPS open loop users are using non-loopable pumps, where all the Loop open loop users are using loopable Medtronic pumps, because it’s not possible to open loop using Loop (or OpenAPS) without one of those. The second point to note is that the tools to use the Combo (and Insight) with AndroidAPS have been around for less than a year, yet for the participants, this is the most common system. This is again likely to be driven by pump availability, which plays a large part in selection of a DIY system. With the ongoing work to make Omnipod available on Loop (and subsequently on AndroidAPS), we are likely to see numbers of users increase. In addition, there were three users of open loops systems that attributed the system to “other”. I’m aware of a couple of other things in the wild, but it would be interesting to see which these were. 82 participants is a small proportion of the overall number of people with type 1 in the UK. Substantially less than 1%, however, they are using these systems which are cutting edge because they believe that they provide a better way of living with type 1, and they are using them not only as a closed loop system, but also as a decision support system. Access to Libre on the NHS will allow take up as it can be used with multiple open source systems to help drive an APS algorithm, and all three systems work with it now. Soon enough, there will be commercial systems available in the UK that offer very similar capabilities, and the NHS will be forced to make a choice as to how it allows people to use technology. Hopefully, the recent news from Partha Kar, that he has made progress on CGM within the NHS, will drive better access to life changing technology for all those who wish to use it. For now though, these plucky few are the ones that have real world experience of closed loop systems, and organisations that deal with Type 1 Diabetes should be taking note and learning what they can from them in an effort to drag the world of type 1 treatment into the 21st century.